Have you ever sent a marketing letter to a local physician promoting your practice in the hope of seeing more patient referrals from that physician? Â If so, what did you do to the letter to help it grab the doctorâ€™s attention? If you are like most physical therapy clinic owners, chances are you didnâ€™t do much to it. Most likely, you wrote a â€œDear Dr. So and Soâ€ letter telling him or her all about how your practice is ideal for his or her patients. No headlines, no eye catching graphics or pictures. Just a â€œplain Janeâ€ letter. Unfortunately, physicians get enough of these letters from other PTâ€™s and other vendors looking to promote their products or services. It is enough to put them asleep – something they canâ€™t afford to be doing when treating their patients. Â So, more often than not, these type of letters get filed in the TRASH without the message about your practice getting through. Donâ€™t feel bad – most physical therapists are not taught effective marketing techniques in school to promote themselves and their businesses. Â But, there is hope. Â There are plenty of sources for PT clinic owners to get the training they need to be effective marketers – more about this later. 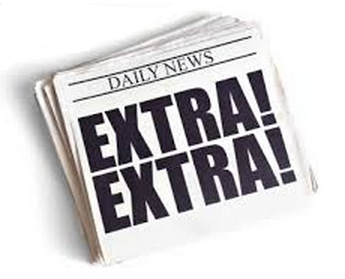 If you have had some marketing experience, then you know that implementing attention grabbing headlines and graphics/pictures that accentuate the message you are delivering in your letters to physicians, is the way to go if you are looking to convert physicians to consistent referral sources for your practice. At the same time, there are strategies behind creating an effective headline and using appropriate graphics. Â How do you learn these strategies? Â Well, one way is to look up marketing courses for PT clinic owners, pay for one, and go through the education process. The other is to attend my upcoming webinar where I will share outside of the box marketing strategies that will help increase the number of patient referrals to your practice. If you would like to attend the webinar, â€œOutside of the Box Strategies for Marketing to MDâ€™sâ€, you can register for it by clicking a button below or above. 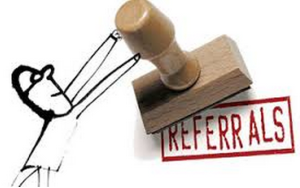 Physical Therapy and other health care clinic owners are always looking for ways to get more patient referrals from the variety of referral sources out there. In this article, I am going to specifically talk about getting referrals from MD’s. Now, if you are skilled in sales and marketing in addition to being a healthcare professional, then you have a BIG advantage over your competition and you probably have no problems getting MD’s to send patients your way. But if you are not, then read on as I am going to tell you how you can do so with a little consistency and persistence. What you need to do is get to know your potential source REALLY well. Now you may be thinking “How am I going to do that? The MD’s I am trying to connect with are never available for me to do so.” That may be true, so you have to find another way to get to know them. There are several different ways you can do so. I will not be able to cover them all here, but I will give you a few examples. Show them you have a personal interest in them and in helping them and you should see a couple of good responses to those surveys. Then follow-up with a thank you and a mention about something they shared with you. Another way is to get to know their “gatekeepers” when you visit their offices. I mean REALLY GET TO KNOW THEM and show that you believe they have a very important role. Make them feel good about your visit. It doesn’t take much effort. As you develop a relationship with these gatekeepers over time, you will find they are much more willing to help you to get to know the doctor as well. For example, you may ask them to let you know when the doctor’s birthday is and what kind of coffee he likes. Then you send the doctor a birthday card along with a Starbucks or Dunkin Donuts gift card. Imagine his/her surprise receiving a card from you out of the blue on his/her birthday. He/she is going to suspect someone in his/her office told you when his/her birthday was and when he/she goes to find out who, that person is going to tell the doctor what a great person you are. This could go a long way to helping you establish more of a relationship with that MD. My point of all this is, as with any business, success comes to those who truly get to know their customers well and who make the greatest effort to take care of their customers. Doctors in a way are your customers. Treat them like you treat your patients and you’ll have more referrals than you can deal with. If you want to learn more about effectively connecting with physicians, then register for my upcoming webinar on August 20th called “Outside of the Box Marketing Strategies to Get More Referrals from MD’s.” I’ll show you how to set up an effective marketing campaign to MDs that will drive in more patients for your clinic. Who do you know to help you attract more referrals from physicians? In the last two weeks I have had two Physical Therapy clinic owners who are new clients tell me that they want a different type of patient population than the type they are getting. In both cases, they get a lot of Medicaid patient referrals. This is bad for 2 reasons: 1) Medicaid reimbursement is terrible, and 2) Medicaid patients are terrible about keeping their appointments. Both clinic owners want more private insurance patients to come in. So when I asked them if they are marketing to doctors or companies who can refer more private insurance patients, they both said “No”. In fact, both clinic owners weren’t doing any marketing whatsoever! Ummm – f you really want something, then you need to let people know what you are looking for AND how it will benefit them when you get it. That is the whole idea of marketing. Yet many clinic owners, like my two clients, will tell me the marketing they have done doesn’t work so well OR they don’t have enough time to do marketing. Yeah – So what they are really saying is they have never tested and tweaked their marketing enough to make it successful. Or they are saying “I don’t have enough time to let people know what I want and put more money in my pocket”. Now, I am kidding here a bit. The fact is, physical therapists are not taught marketing strategies when they are in school getting their degrees. Most clinic owners have to figure it out for themselves once they open a practice. Like treating a patient, there is a science and strategy behind a good marketing campaign. It is not something you learn overnight. Like your treatment skills, it takes practice to become good at it. Unfortunately, most clinic owners don’t take the time to do so because it is easier to find other things to do that they are more comfortable with. Let me ask you, were you always comfortable when you were in PT school? Probably not. If you don’t have a good marketing plan for your clinic and have not acquired the skills needed to be a good at marketing your practice, then it is time for you to get out of your comfort zone again and learn marketing. It will make a huge difference in the type of patients you get into your clinic(s) and will most definitely increase your bottom line if you make the effort to do so. What are some out of the box strategies you use for attracting more referrals from physicians? Physical Therapy Billing Compliance | Can you reduce your audit risk? Shannon could have thought of better ways to spend those $30,000 with her husband, Mike, and their two small daughters, Heather and Laurie. Like taking that vacation to Europe as they had always wanted. Or buying a new family car so Mike would not have to drive the old, rusty van anymore. It seemed like failing that audit last month caused a wound that just would not heal. After paying her fine, she also had to return the money she had already received for her failed claims, pushing her further down the proverbial rabbit hole. Unsure what the future would bring for her physical therapy practice, she held on to the hope that she could emerge from this audit nightmare with a better way to stay compliant. She just did not know yet how to go about it. Are you stressed out over unpredictable cash flow of your physical therapy practice? 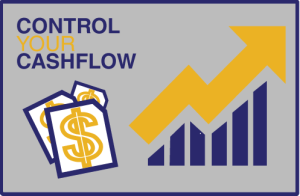 Â Do cash flow fluctuations keep your practice from reaching its full potential? Lack of control over your billing performance can seriously threaten the growth of your practice. Needless to say, without growth your practice will struggle to survive. To make matters worse, anxiety over physical therapy billing issues can rob a practice owner of confidence and peace of mind needed for building his dream practice. This in turn affects his relationship with patients negatively and further impedes practice growth. Since the chances of ever getting your claims paid decrease with each passing day, the percentage of accounts receivable after 120 days can be used as a proxy of your billing performance. Obviously, it is impossible to predict when and how much the insurance will pay you. Hence, the key to taking control of your practice’s billing performance lies in knowing exactly which claims are underpaid or even unpaid. Rigorous follow up on the claims in trouble can help you reduce the percentage of your monthly AR past 120 days to ten percent or less. Improving your practice’s cash flow is not all doom and gloom, though. A good first step consists of discovering your practice’s true cash flow and billing potential. What are your current physical therapy billing stats? Are you aware of any weaknesses in your practice’s billing process? Just how much could your practice grow with this improved physical therapy billing performance? Can the potential increase in collections pave the way for accomplishing your goal of building your physical therapy dream practice? There is only one way to find out — request your Individual Practice Evaluation from bestPT. We will help you discover your practice’s cash flow and billing potential. If you have been struggling with making your physical therapy dream practice a reality, you can discover what has been holding you back using bestPT’s Opportunity Analysis. Comparing your practice’s current performance stats in five key areas with possible improvements will reveal the full income potential, weakly performing areas, and potential savings in fees. The numbers will basically show you which key areas of your practice need improvement so that you can develop a SMART plan with specific, measurable, attainable, relevant and time-based goals. This can save you a lot of frustration typically resulting from lack of control and feedback. Starting with the Documentation Time, you can find out how much money you are losing by spending too much time on your physical therapy documentation. If you are like most other physical therapists, you would probably rather spend more time with your patients or family than catch up on paperwork in your well deserved free time. An easy improvement for this issue would be switching to a better-performing EMR system so you can reduce your documentation time while increasing your profitability and happiness. Losing sleep over the cash flow of your physical therapy practice can be extremely stressful, especially if you have no way of tracking unpaid and underpaid claims. Your Physical Therapy Billing Performance evaluation shows you how long it takes for your claims to get paid by calculating the AR percentage past 120 days. Needless to say, your practice’s cash flow is directly impacted by the amount of outstanding, unpaid claims. As such, you can improve your physical therapy billing performance and sleep better with an optimized claims processing system that detects errors before you even submit them to the payers. Lack of feedback from your patients can create a lof anxiety as it leaves you clueless about potential issues affecting your patient flow. Analyzing your Patient Relationship Management paints a clear picture about your practice’s growth. By looking at how many no-shows as well as how many new patients your physical therapy practice sees on a monthly and annual basis you can determine your current patient flow. You can then eliminate your anxiety by fixing any existing problems with patient education tools and patient alerts. Do you feel frustrated with your practice management performance? 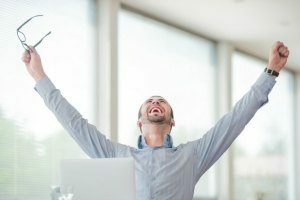 If your staff is out of control while your Administrative Overhead expenses exceed your monthly collection you will definitely need to make some drastic changes. Using physical therapy software with a built-in task management system that encourages teamwork can restore order and improve practice performance. Without this Opportunity Analysis you will never really know which KPIs are affecting your practice’s performance– and ultimately, your physical therapy practice will never reach its full potential. Needless to say, not knowing your practice’s weaknesses or potential areas for improvement will set you up for failure in an uphill battle against the insurance companies. Granted, you may not be able to control all variables that affect your physical therapy billing performance, such as fickle patients or denied claims. 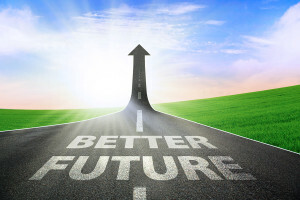 But you can put yourself in the driver’s seat and take your physical therapy practice to new heights by comparing and contrasting current and potential future numbers. Essentially, your dream practice is only an Opportunity Analysis away. 2. If you are not yet using bestPT software, simply schedule your Initial Practice Evaluation via web form here. Physical Therapy Practice Marketing strategies include automated patient reminder calls to grow your physical therapy practice.Â This will help you provide a valued service and projecting a cutting-edge image. Focus on the patients you already have. Generating repeat business is far easier than trying to find new patients. Sending promotional phone calls to past clients is an easy and effective way to get referrals and book more appointments. Create a sense of community. Use automated reminder calls to invite patients to an Open House celebrating a holiday or company milestone. Give out refreshments, product samples and discount coupons. Be sure to invite local physicians. Have your existing clients bring in new patients. Use automated reminder calls to create a Refer-A-Friend promotion and increase your client base. Reward the referring patient with a discount or a promotional giveaway. Offer a free class. Use automated reminder calls to invite patients to attend a free class about exercise for weight loss, proper back care, or pain management. Use automated reminder calls to promote friendly relationships with your patients. For example, send out birthday greetings that include a discount. Generate a buzz. Use reminder calls to enhance your online marketing. 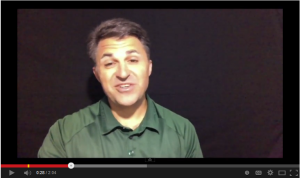 Announce webinars, podcasts and your presence on social network sites or blogs. Increase patient loyalty. Do you have many Spanish or Mandarin-speaking patients? Use automated reminder calls to communicate with them in their language of choice. Improve patient compliance. Allow patients to sign up for automated exercise reminders. Remember to always project a professional image. Use a pleasant tone, professional vocabulary and words like courtesy call to deliver a message that feels like a courtesy to your clients. These are just a few ways to use automated reminder calls to grow your business. Best of all, you get to avoid ineffective postcards that end up in the trash, unopened emails that cannot get past spam filters and print ads that are simply too costly. You are virtually guaranteed that someone will receive your message, either in person or on an answering machine, for less than the cost of a stamp! For more information visit www.remindercall.net.